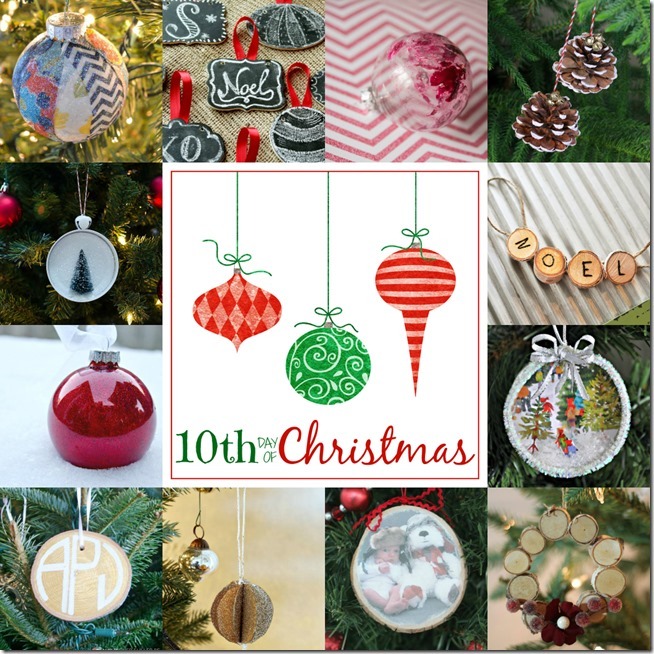 On the tenth day of Christmas my blogger gave to me…. Do you know all the words to that song? I need a refresh because I can’t for the life of me remember them! 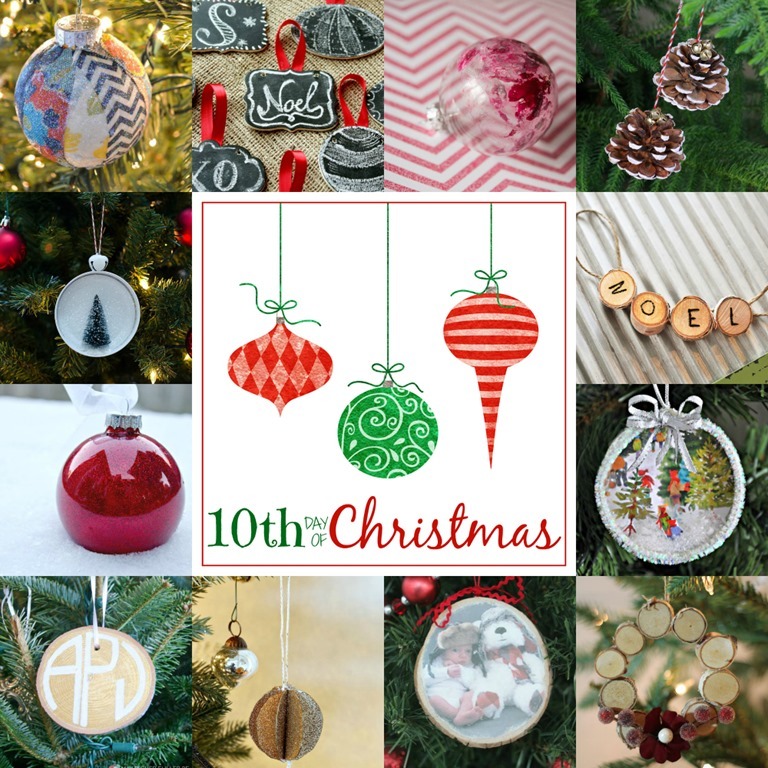 It’s Day 10 of the 12 Days of Christmas Ornaments. 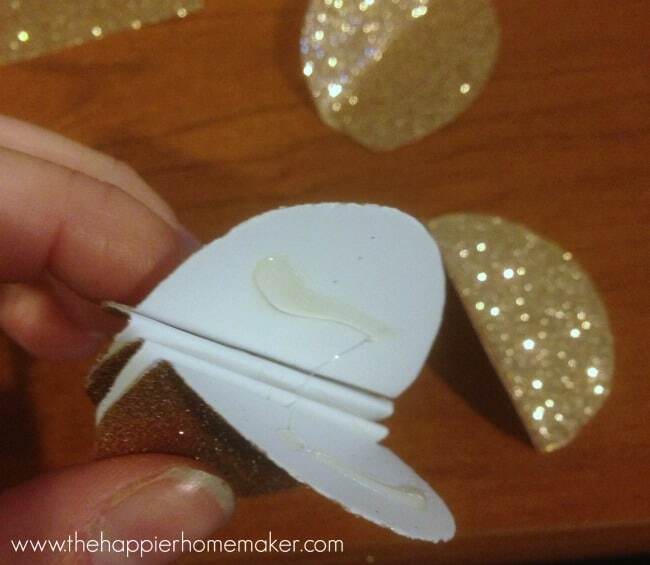 Today I have a cute little glitter paper ornament that is so easy to make and just adorable with it’s all finished! 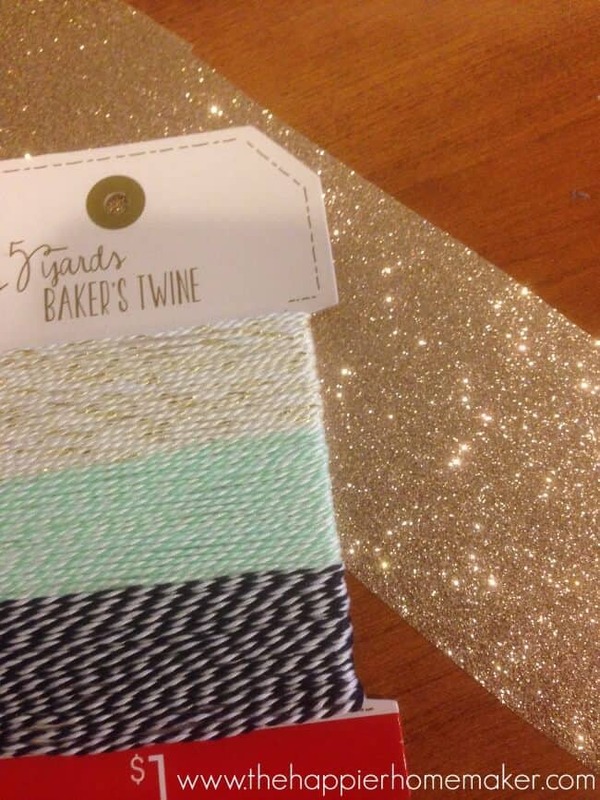 You’ll need glittered cardstock, baker’s twine (I found some cutey patooty ones in my Target dollar aisle) and hot glue. Now, I bought my glittered cardstock a few years ago from Stampin’ Up and I searched high and low on Amazon for some to link to for you but I couldn’t find any that weren’t crazy overpriced…I suggest checking your local craft store for the buy-by-the-sheet specialty papers, or try this ornament with any paper you have on hand-it will look great no matter what! First cut circles from your cardstock either by hand, with a punch, or die cut machine. I did mine by hand but in retrospect I should have used my Silhouette for cleaner lines! 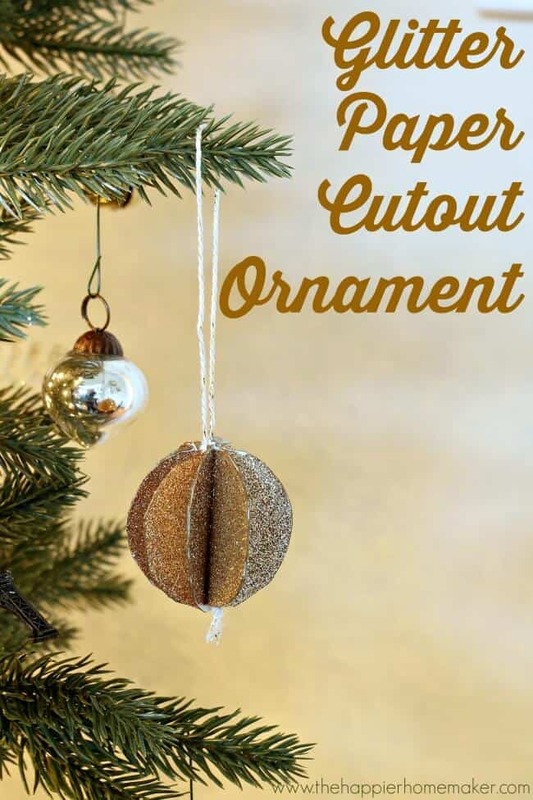 You have flexibility on size and how many circles to cut-I used 7 2″ diameter circles for my ornament. 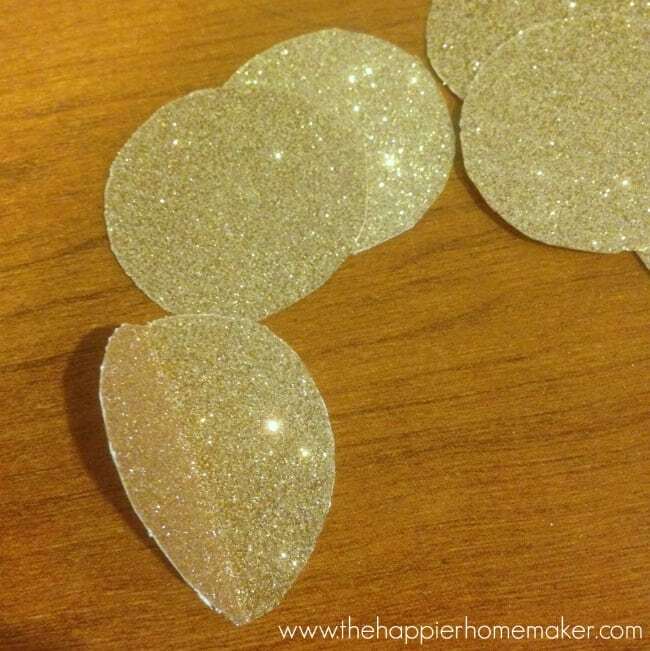 Fold each circle down the middle, glittered side in. 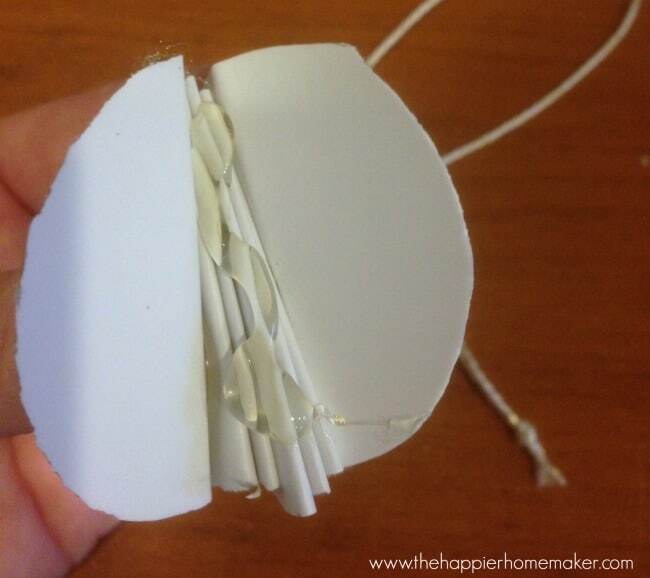 Use hot glue to start gluing the circles to each other as shown. When you’ve attached all of the circles cut a 9″ piece of the baker’s twine and tie a knot in the end to create a loop. 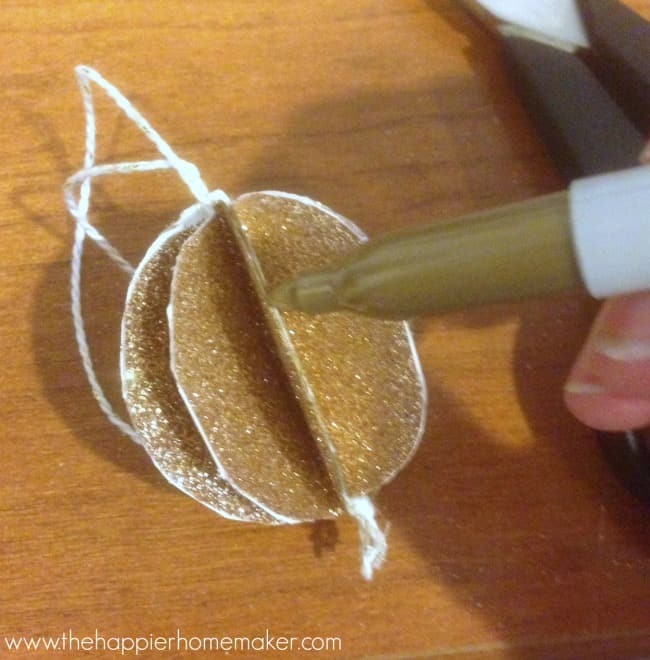 Coat the folded interior edges of the circles as well as the last two circle surfaces with hot glue, place you string loop in the center and glue the ornament closed. If you use thick core cardstock and can see the white edges of the paper like I could, use a matching marker (I used a gold Sharpie) to color them so they blend in better. All done! I love the way this turned out and it’s so cool that it’s paper, right? So cute and I could totally see this one working for a swag banner as well.